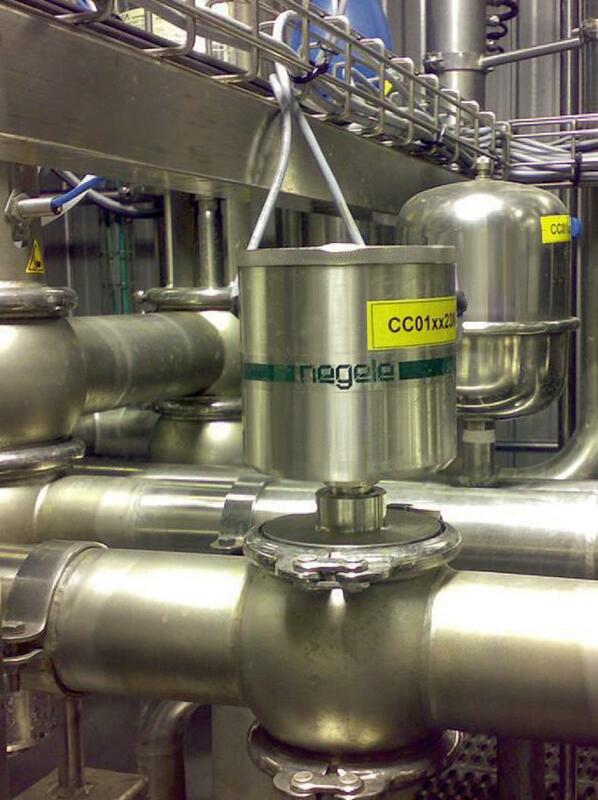 Nestlé Canada, part of the Nestlé Corporation, the world’s largest food manufacturer, uses Anderson-Negele turbidity sensors to optimize CIP systems. In modern cleaning-in-place systems, fl ow control is performed during the prerinsing, cleaning and post-rinsing processes – which employ acids, alkaline solutions and water. In addition, the consumption of the individual media is monitored and optimized. This aims at reducing costs through the re-use of rinsing solutions and a reduction in fresh water consumption. 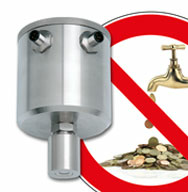 An accurate distinction between the individual rinsing phases saves raw materials and time. In older CIP systems, fl owmeters are often combined with time switches to monitor the water rinsing cycle. The removal of milk products with water is monitored using this method, for example. Often, an additional rinse period is added as a safety factor to ensure that all residue from the product has in fact been removed from the piping. Post-rinsing, too, is often monitored based on time alone. 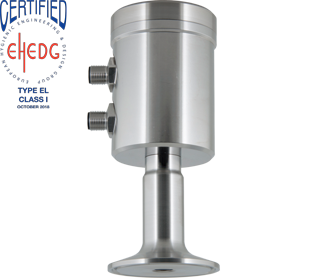 Modern CIP systems, on the other hand, not only use conductometry to distinguish between the phases and measure the concentration of the rinsing solutions, but also successfully employ turbidity measurement. Aside from the increase in productivity, the main reasons for using turbidity and conductivity sensors in CIP systems is a consistently high quality, a reduction in energy and fresh water consumption and better protection of the environment. Use of the turbidity meter ITM-3 in the separation of rinsing water leads to considerable savings in water and sewage costs. In general, accurate and reproducible phase separation off ers enormous savings potential in CIP rinsing. For many customers, Anderson-Negele sensors are decisive in accomplishing this goal. Use of an ITM-3 in the smallest of the eight CIP circuits in Nestlé Canada ice cream production has already lead to a reduction in water consumption from 6500 liters to 2500 liters per wash. Installation of ITM-3 turbidity meters in the other seven cleaning circuits is expected to generate a reduction in water consumption of a similar magnitude. As a result of these savings, Nestlé will comply with the latest environmental protection requirements of the city of London, Ontario. Because of the enormous water savings and the avoidance of a higher environmental tax, converting the system will pay for itself within just few months.